We use to talk in the past about sillage, this is a very important feature of a perfume, this is a French term that is commonly used to discuss a fragrance’s diffuseness, actually the ability of a scent to be smelled at a distance. It is fragrance projection actually. By “projection” I mean at what distance a scent can be perceived – roughly equivalent to strength or potency. Projection is what people around you perceive of the scent. Narciso Rodriguez For Him is the first elixir for men released by designer Narciso Rodriguez. 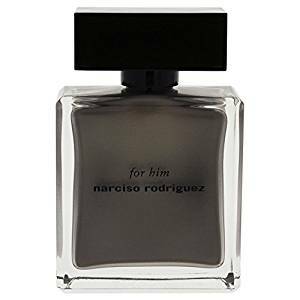 This perfume is the first extension of the future Narciso Rodriguez Men’s Fragrance Collection, a collection that strives to amaze as much as the division created for women. Essence is an important part of how Narciso Rodriguez portrays the man. For Him was created by perfumer Francis Kurkdjian, made up of accords extracted from violet leaves, patchouli leaves, amber and musk. According to Vice President Nathalie Helloin – Kamel, the inspiration for the aroma For Him finds its origins in a previous era of men’s perfumes, the reference point being the 80s and the classical fougeres, which dominated the industry at that time. The opening is dominated mostly by herbs, but they also show signs of muscles, pine and the fragrance of lavender provensal. The cold, wet and strong touches of the dark patchouli notes also feel incipient. Overall, the projection of For Him on the skin is akin to a strong and frightening potion on dry asphalt and water. Freshly fresh, the smell is not entirely green because of the notes of patchouli, which make it damp, earth and almost mineral. Undoubtedly, Aventus is the reference creation of the Creed House, which originally started on the road of success as an English tailor. One thing that very few people know is that later, this house became a privileged one, being selected to belong to the French Syndicate of Haute – Couture, a climax reached after the change of business point in England in France , more precisely in Paris – 1854. 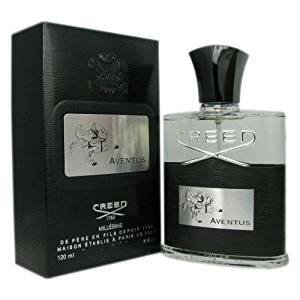 The Creed Aventus fragrance possesses the spirit of the man whose ambition in life knows no limits. Evoking legendary masculine figures, whose visions of life and success have changed the world today, Aventus conveys the thoughts of much lost empires, distant lands and exotic ambitions. The perfume opens with a tonic cologne, citric origin. The refreshing smell of lemon reminds of another creation with Parisian ballet, namely Balmain’s Monsieur Balmain. The natural excitement of citrus resonates with the strong spirit of a leader, although behind it he or she feels a very familiar, urban and campfire amber agreement. What deflects the traditionalist pattern is the very development of the fruity notes, transposed into a supremacy game between the apricot and the osmanthus. 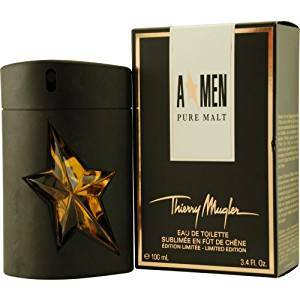 According to the brand, Thieryy Mugler A * Men Pure Malt perfume is a perfume innovation, honoring the tradition of Scottish whiskeys, featuring woody and sensual arrangements. The result is a surprisingly stylish and sophisticated fragrance, featuring sweet notes of candied fruits, woody accords, malt, peat and oriental accords, offering a truly noble and refined masculinity vision. A * Men Pure Malt, as the name suggests, is an essence centered around the malt agreement, supplemented with caramelized and fruity subtleties in the incipient, for the end to be submerged in a woody, dry and sharp landscape. Although the scent revolves around the malt agreement, offering the bearer olfactory indexes of whiskey and beer, it is complemented by light oriental arrangements that create a velvety longevity on the skin. This precious material is noticeable in all aspects surrounding us, ranging from architecture, design, to jewelry, clothing, accessories or fashion. The packaging specific to this edition was created under the auspices of a lustrous chromatic plan, the golden shades being the premise for the image of a strong, modern man who emanates safety and confidence in one’s own person. The perfume was inspired by the metallic collection of designer Paco Rabanne, who has teamed with names in the perfume industry, such as Christophe Raynaud or Michael Girard. 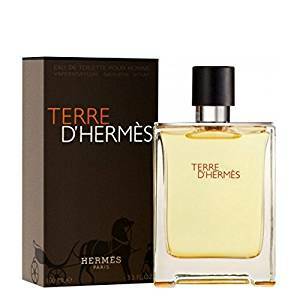 Terre d’Hermes is another launch that proves to us that the best fragrances that did not want to be niche fragrances, by law, belong to the male audience. Dior Homme, an iris wrapped in warm, sweet skin. Lanvin Arpege Por Homme, a velvety bouquet of iris and purple. These would be only two of the most recent examples. However, the new essence bearing the signature of Jean – Claude Ellena, the Terre d’Hermes perfume, manages to portray a series of qualities difficult to identify in another illustrious example of masculine perfume. Launched in 2006, Terre d’Hermes remained a white line from the amalgam of men’s perfumes. The reason consists of its composition, a divine mixture of strong citrus, sweet wood and spicy spices. 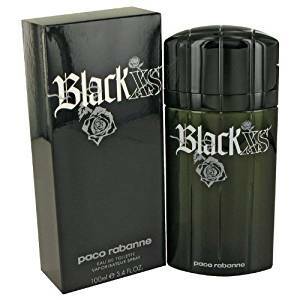 The Black XS Men’s Fragrance was created in 2005 by renowned Olivier Cresp, renowned for its olfactory beauty and refinement that has long been popular in the beauty industry. This perfume is undoubtedly a prenatal signature of masculinity, given the spicy notes it displays from the first spraying to the depth of the aromas that underlie its composition. Knowing the desire of women to wear men’s fragrances, it can be said that no representative of the romantic public would dare to wear the Black XS perfume in the middle of the day, despite the soft and warm woody aromas it exposes to the first breath. The opening of the citrus makes a spectacular introduction to the sweet and spicy heart of the composition. Along the way, the deep and dark fruity notes of an almost suffocating sweet are replacing the suave woody sequences. At its base there is an intense amber, which is by definition a sign of masculinity. Valentino Uomo toilet water was launched in 2014, in collaboration with the Puig house, and soon reached the markets of Europe, the Middle East, Asia and the Americas. The identifying element of this creation places it among the classic ones, built to describe in detail a fruitful future and full of unforgettable moments. That’s why the elixir is for refined men, those who love classic style and know how to juggle with any kind of outfit and any kind of situation. Valentino Uomo fragrance opens with a spicy bergamot breeze, which instantly transforms into a sweet smell of chocolate. 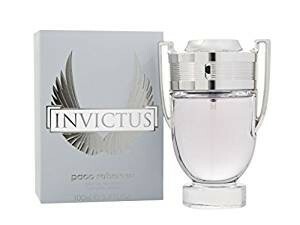 Unlike other fragrances launched by Paco Rabanne, Invictus is a sophisticated presence, a masculine creation that brings to the forefront fresh marine notes, characteristic of a modern, sporty man, demonstrating to those around them a self-assured attitude. Compared to other fragrances launched by Rabanne House, Invictus generates power, dynamism and energy to a whole new level, becoming July 2013 one of the top masculine flavors that has left a decisive mark on the specialist stores. Invictus star opens with a suite of fresh grapefruit arrangements accompanied by specific aquatic notes. The contrast between refreshing and woody accents gives the fragrance an interesting allure, which is quite a matter for a person who wants to identify a unique mix on the market. This an interesting and very special fragrance for modern man. 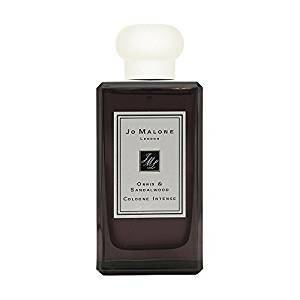 If you love to be always in trend, very stylish and with a high level of self confidence, then Jo Malone Orris & Sandalwood Cologne Intense is for sure a perfect option. 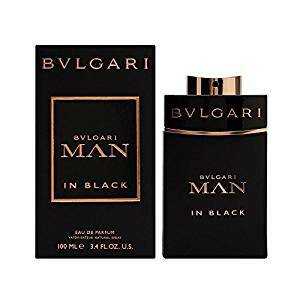 To celebrate the 130th anniversary of its launch, the brilliant brand Bvlgari has been thinking of bringing a new perfume to the market, thought to be a response to Bvlgari Man & Bvlgari Black perfume. Certainly, the male audiences who loved the two essences were expecting an olfactory result that would become a common echo of the compositions. The Bvlgari brand did not delay offering a sequel or a small description of the perfume, considering it bold, charismatic, modern, even if an ancient myth served the creator as a source of inspiration. We are talking about the myth of the birth of Vulcan – the god of the earth. Of course, the interpretation of the ingredients has been adjusted so that it will lead to a contemporary, intense and courageous perfume.